Capture the Colour è un concorso lanciato da Travel Supermarket. Il tema sono i colori nelle fotografie di viaggio: bianco, rosso, blu, verde, giallo. Trovate le regole a questo indirizzo, ma intanto ve le elenco brevemente. Scegliere 5 foto di viaggio, una per ogni colore, e pubblicarle in un post con una breve descrizione. Scegliere altri 5 blogger da invitare al concorso. Postare il tutto entro il 29 agosto. Le descrizioni saranno in inglese e italiano per permettere alla giuria di capirci qualcosa. 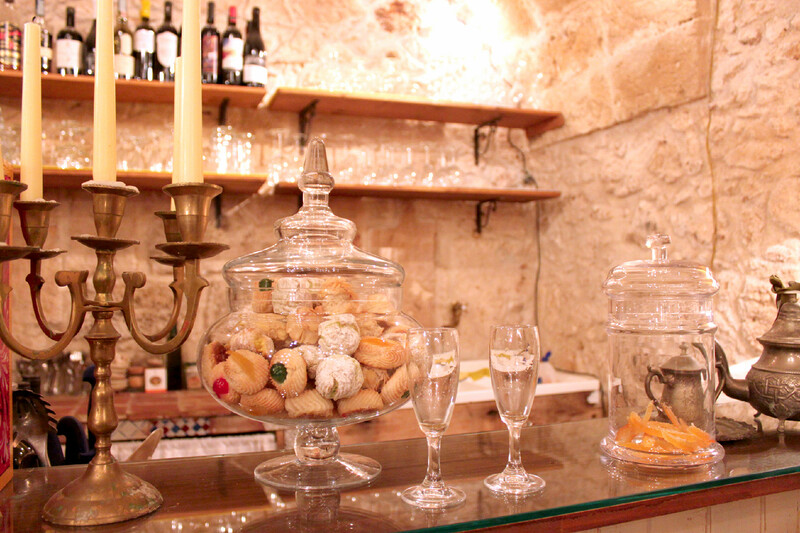 This picture was taken in Marzamemi, Sicily, in a cafe where we used to spend our evenings. The place is in the main square of Marzamemi, with tables and candles outside, and books and jazz music inside. It’s a warm and cosy place. There are poems written on the walls. The owner always welcomes you with a smile. Portobello road is one of my favorite places in London. I know it’s mainstream and full of tourists, but I love it anyway. Preferably not on Sundays and holidays, when it’s really too crowded. 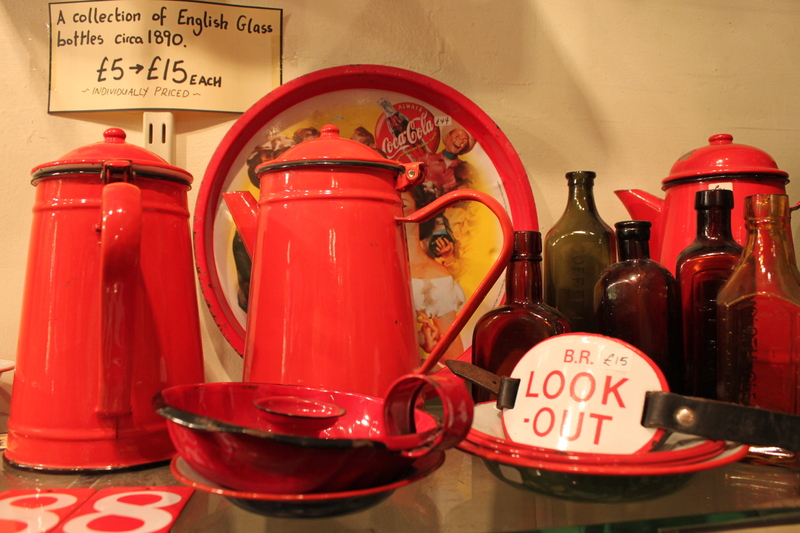 This picture was taken in a little shop in Portobello road. Every time I stay in London I come here to breathe the air of this place, just to feel fine and at home. That’s my dad. And that’s a manta ray. It seems like they were having a conversation. We were in Valencia, Spain, at the Oceanogràfic. 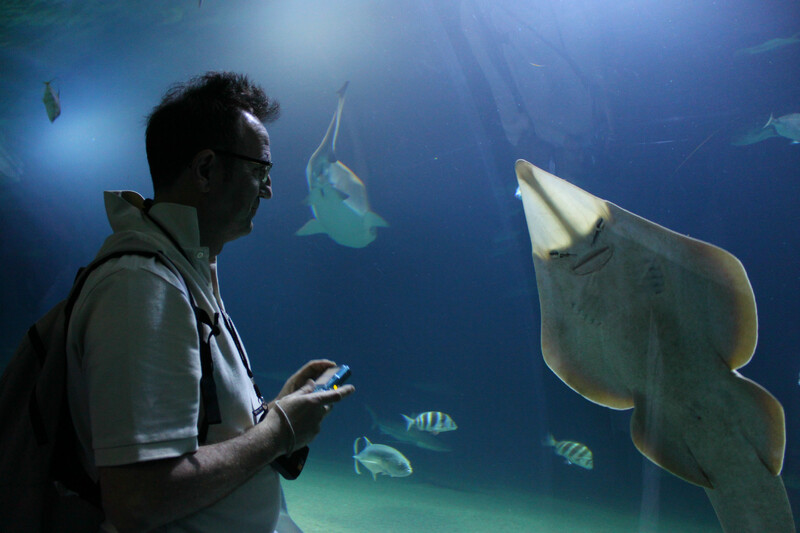 My dad and the manta ray seem like they were staring at each other for a few seconds, just by the time I took the picture the manta was gone. It was a very mystic moment. 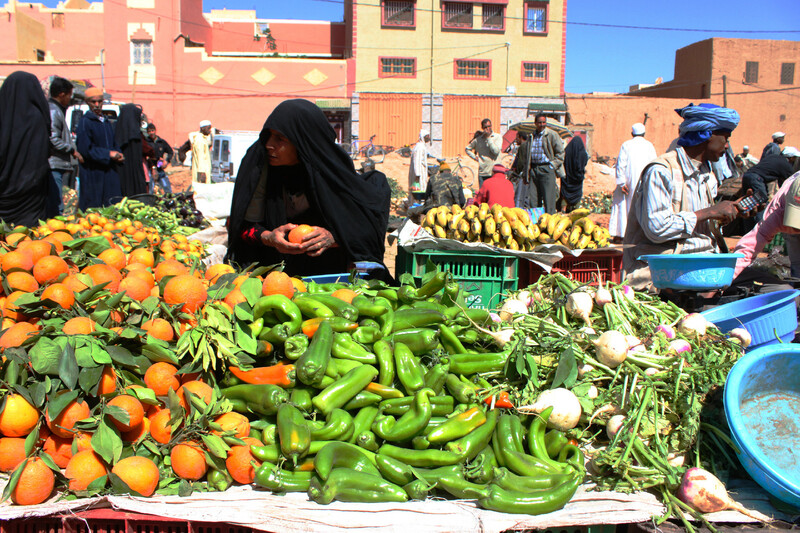 The market in Erfoud, Morocco. It’s not very usual to see a women seller in Morocco. This was the only one I’ve seen in my journey. This picture was taken in the main square of Erfoud, during the market day. The square was full of fruits and vegetables, all the women came here from the near villages to buy everything they needed for the whole week. The square was full of colors with black dots all over. It was sunny and the parfume of oranges was in the air. Il mercato di Erfoud, in Marocco. Non si vedono spesso donne commercianti in Marocco. Questa è l’unica che ho incontrato nel mio viaggio. La fotografia è stata scattata nella piazza principale di Erfoud, durante il giorno di mercato. La piazza era piena di frutta e verdura, tutte le donne dei villaggi vicini erano lì a fare la spesa per la settimana. La piazza era piena di colori intervallati dal nero dei burqa. C’era il sole e il profumo delle arance riempiva l’aria. Home, is where every journey ends. 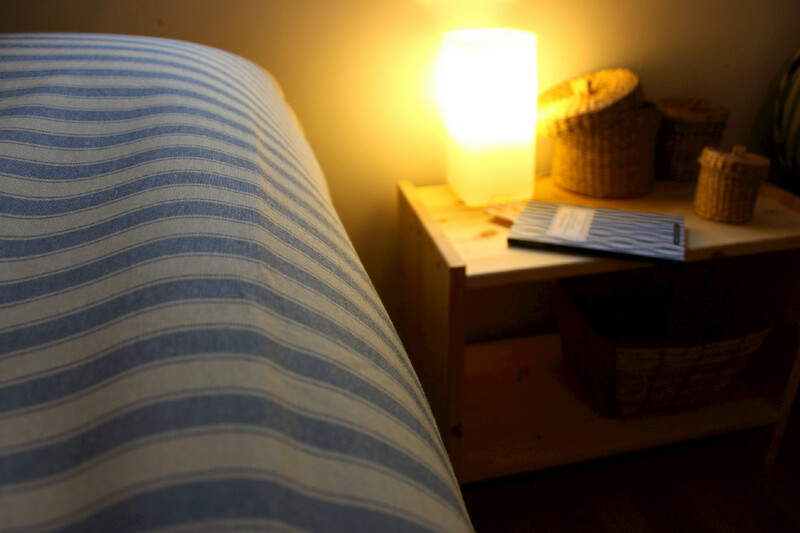 It’s wonderful to leave as much as it is to come back. The value of a travel is also in the roots that you left at home.